The Site offers information on our property. As used throughout the Site, the terms “Masseria Le Mandorle”, “the Company,” “our,” “we,” “us,” “our,” and other similar terms may refer to the Masseria Le Mandorle and its owner, Salentodamore SCARL. All of these terms are used for convenience only and are not intended as a precise designation of any of particular entity. PLEASE READ THE TERMS & CONDITIONS CAREFULLY BEFORE USING OR OBTAINING ANY MATERIALS, INFORMATION, PRODUCTS OR SERVICES THROUGH THE SITE. BY ACCESSING THE SITE, YOU AGREE TO ACCEPT, WITHOUT LIMITATION OR QUALIFICATION, ALL OF THE TERMS & CONDITIONS. We reserve the right to change, update, or correct any of the Terms & Conditions or any information contained in the Site at any time without notice by posting amended terms to the Site. Your continued use of the Site means that you accept and agree to the revised Terms & Conditions. If you do not accept these Terms & Conditions (as amended from time to time), please exit the Site immediately. Cancellations for a guest room reservation must be received at least 7 days prior to 16:00 local time on the expected day of arrival. Policies may differ by arrival date and room type. If cancellation of a guaranteed reservation is not received by the required date, Masseria Le Mandorle will charge for one night’s accommodation. For details of cancellation policies and deposit requirements, please check at time of booking. Masseria le Mandorle accepts the following forms of payment: American Express, Visa-Credit, Visa-Debit, MasterCard, Diners Club, Postomat (uswed as a credit card), Italian Bancomat. At Masseria Le Mandorle, a guaranteed reservation assures you of a room even if you check-in late (after 20:00). 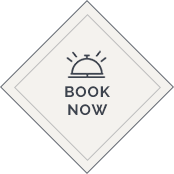 All reservations must be guaranteed by a major credit card, or a deposit equal to one night’s room rate plus tax and service received by the Masseria Le Mandorle within 14 days of booking but no later than 30 days prior to arrival. Any reservation made 30 days or fewer prior to guest’s expected arrival must be guaranteed by a valid credit card, or the reservation will automatically be released. Masseria Le Mandorle provides the Site solely to permit you to determine the availability of certain goods and services. You may only use the Site to make legitimate reservations or purchases for yourself and your invited guests or an individual for whom you are authorised in advance to act. Unless you have obtained prior written permission from us, you may not use the Site to make reservations or purchases for other purposes, including without limitation for purposes of reselling rooms or reservations, posting, marketing, advertising, or otherwise distributing rooms, reservations, or availability (including without limitation on third-party web sites), making false, fraudulent, or speculative reservations, reserving rooms in anticipation of demand, or making reservations for commercial purposes (such as reselling rooms). Reservations made in violation of these Terms & Conditions may be cancelled without notice in Masseria Le Mandorle’s sole discretion. Masseria Le Mandorle further reserves the right to cancel reservations without notice that are transferred in violation of these Terms & Conditions. We strive to provide our products and services in a manner that is accessible to all of our customers, and respect the dignity and independence of people with different abilities. Masseria Le Mandorle is not responsible for communication failures, errors, difficulties, or other malfunctions or lost, stolen, or misdirected transactions, transmissions, messages, or entries on or in connection with the Site. Moreover, Masseria Le Mandorle is not responsible for any incorrect information associated with any transaction or transmission on or to the Site regardless of whether such incident is the result of user error, system error, or human error.